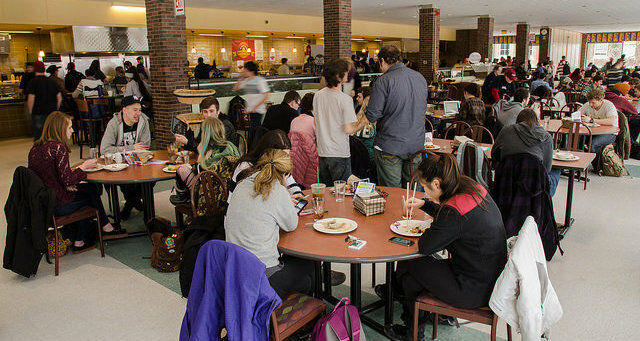 Located in the Central Residential Area, Franklin Dining Commons is famous for its vegan and vegetarian cuisine. Enjoy a continuous, all-you care-to-eat assortment of dining concepts, such as sushi bar, pizza station, international bar, salad bar, stand alone vegetarian station, deli bar and cereal station, as well as many American fare items. In addition, Franklin Dining Commons also features Grab n’Go for those on the run. Certified Kosher Dining is also available at Franklin.